Just a few random sewing projects with no particular theme for today's post! As always click the photo - you'll find the link that may likely include a tutorial. Hope you are having a great weekend! 1. These pillows are cute and simple. I'd love to make Logan's name in colors to match his room! 2. Logan is potty training and they don't make the cute character underwear in thicker fabrics (which is nice because when he does have an accident it is more absorbant). So I could make him some super cool big boy underwear myself -who knew? 3. 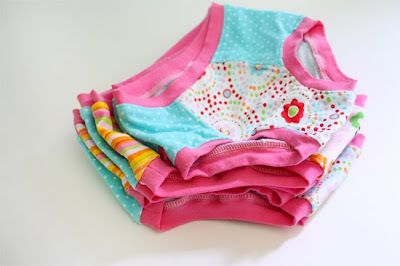 Here's a post on how to refashion a handtowel into a diaper changing pad. 4. What a great picnic blanket. 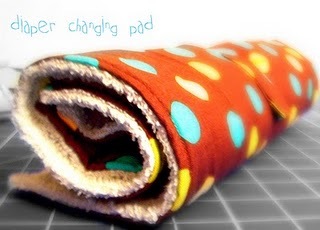 She used a shower curtain for the backing so it is easily cleanable! 5. 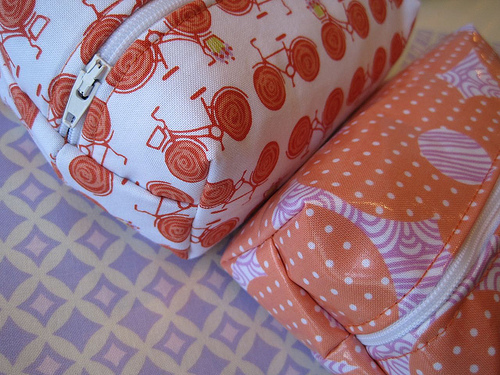 I didn't know there was such thing as laminated cotton, but it sounds like it would be great for a makeup bag like these cuties.